We've been blessed with a bumper crop of lemons this year, which is a absolutely wonderful because lemons can be used for cooking, baking, in salad dressings, cleaning supplies, lotions, candles, lip balms, soaps, potpourri, cold remedies and so much more! 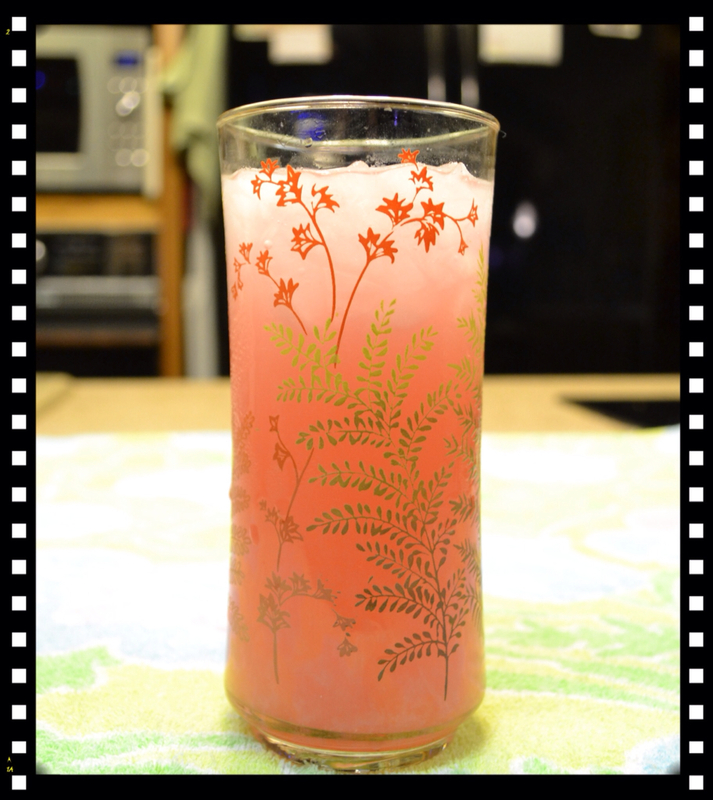 Of course, when I think of lemons, my first thought is homemade lemonade! We've gone through 2 1/2 gallons of lemonade and a gallon of hand-squeezed orange juice this past week with Grands staying with us. When Will thinks about lemons . . . He thinks about a thin layer of crisp, buttery shortbread with a thick layer of rich, tart, lemon custard filling, lightly sprinkled with powdered sugar :~ 0 and a cold glass of milk! 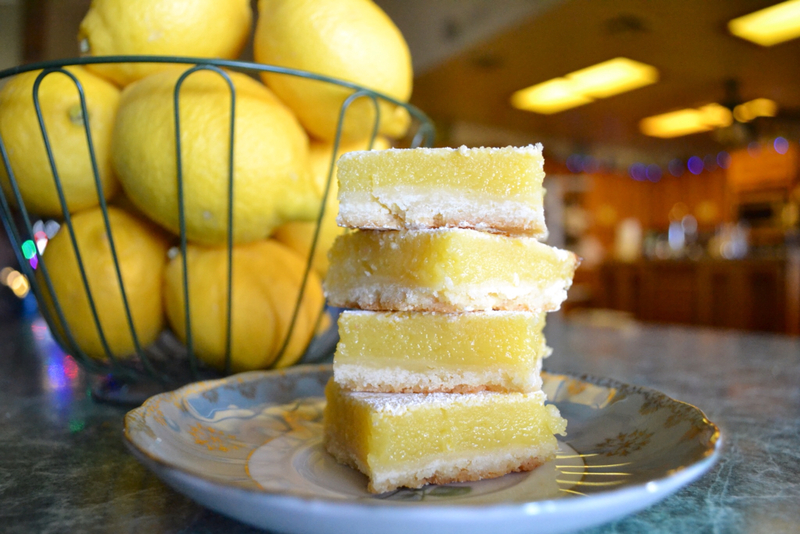 Over the 21 years we've had our own lemon tree, I've experimented with several recipes and I believe this one meets all our criteria for the 'PERFECT' LEMON BAR! Finally, an even dusting of confectioners sugar. The ingredient amounts adapted from Martha Stewart. The method for making the crust comes from Down Home Cooking the New Healthier Way (Lemon Bars). Preheat the oven to 350F and butter a 9-inch by 13-inch baking pan. 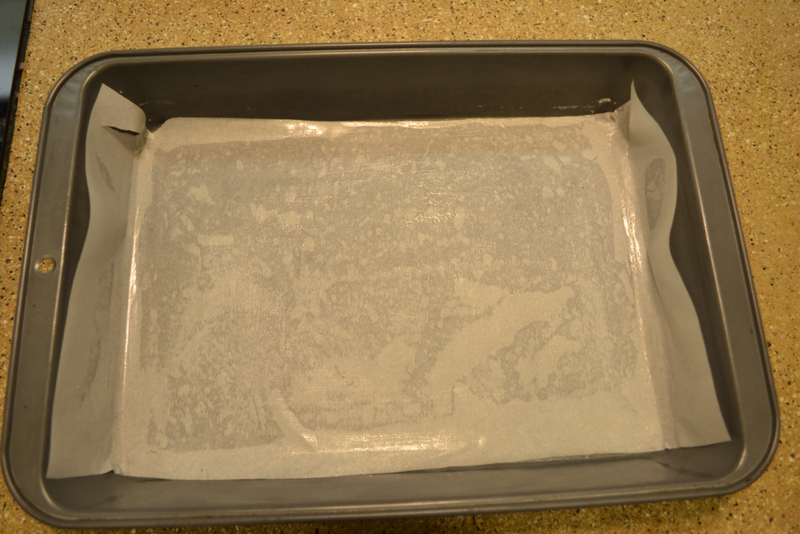 Line pan with parchment paper going in both directions with a 3-inch overhang all around (I only did my parchment paper in one direction and messed up the crust!). In a medium size bowl, mix flour with confectioners sugar, then work in the butter with your fingers until the dough forms. Mix in 1 teaspoon lemon zest. Press in the bottom of pan and bake for just 10 minutes. 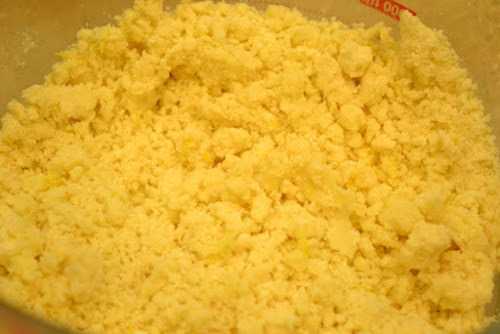 In a medium bowl add eggs one at a time, egg yolk and pinch of salt; whisk until golden with no whites showing. In a large bowl add flour, sugar ~ whisk well to dissolve sugar. Pour in lemon juice and zest of one lemon. 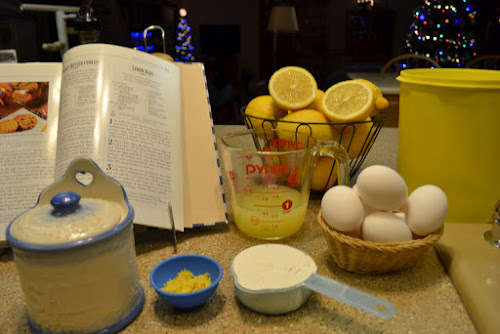 Add eggs to lemon mixture; whisk well. Pour lemon custard over warm crust. 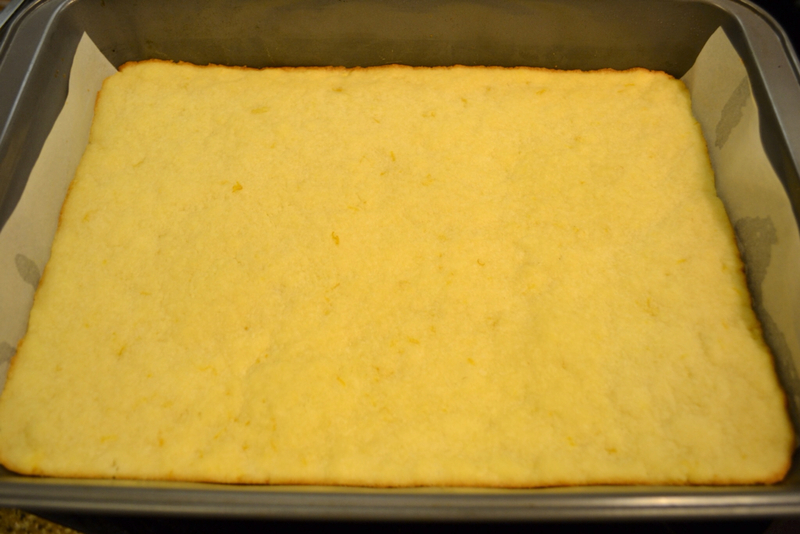 Bake Lemon Bars for 30 to 40 minutes, until center is firm. Cool on wire rack before refrigerating. Please learn from my mistake . . . Line with parchment paper 3-inches up both sides, long and shortway, all around and your lemon bars crust will come out of the pan beautifully. Pat into bottom of baking pan. Prepare ingredients for lemon custard filling. Crust after 10 minutes in a 350F oven. 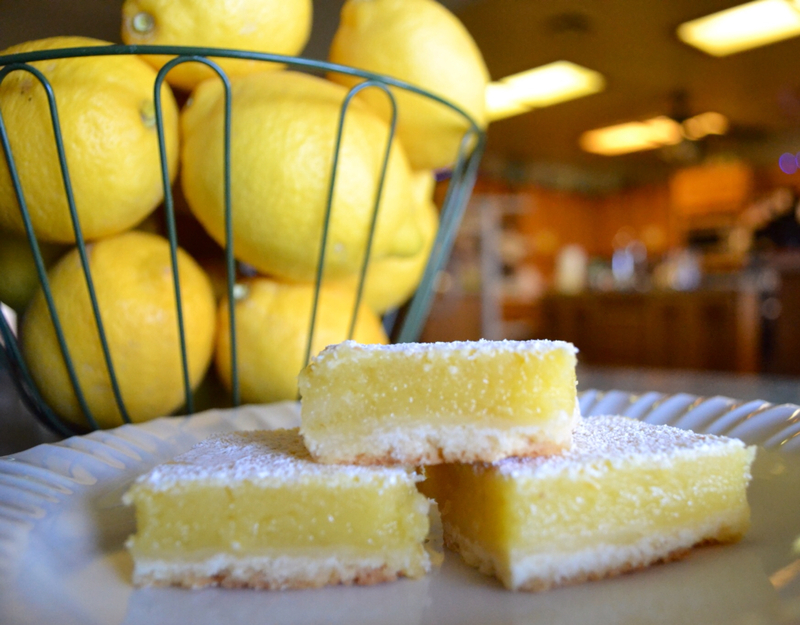 These Luscious Lemon Bars are real show stoppers! They make a delightful dessert for any special occasion, but are sturdy enough to pack in your children's lunches (pack loosely in aluminum foil). I packed them in our Grands' lunches this week for a special treat! So many lemons, so little time! 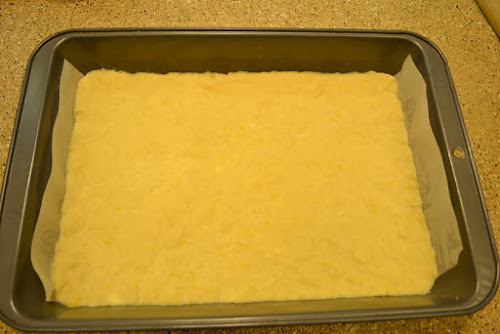 I cut my lemon bars after they have thoroughly cooled in the fridge, and then pack them in layers between waxed paper. 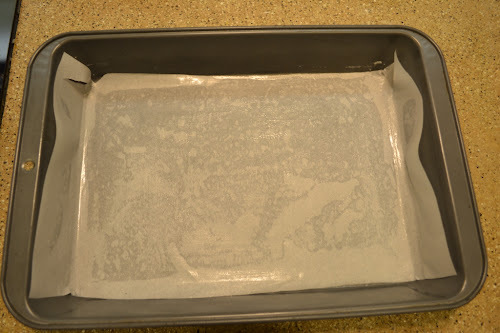 The waxed paper absorbs moisture keeping the crust crisp and the confectioners sugar dry. 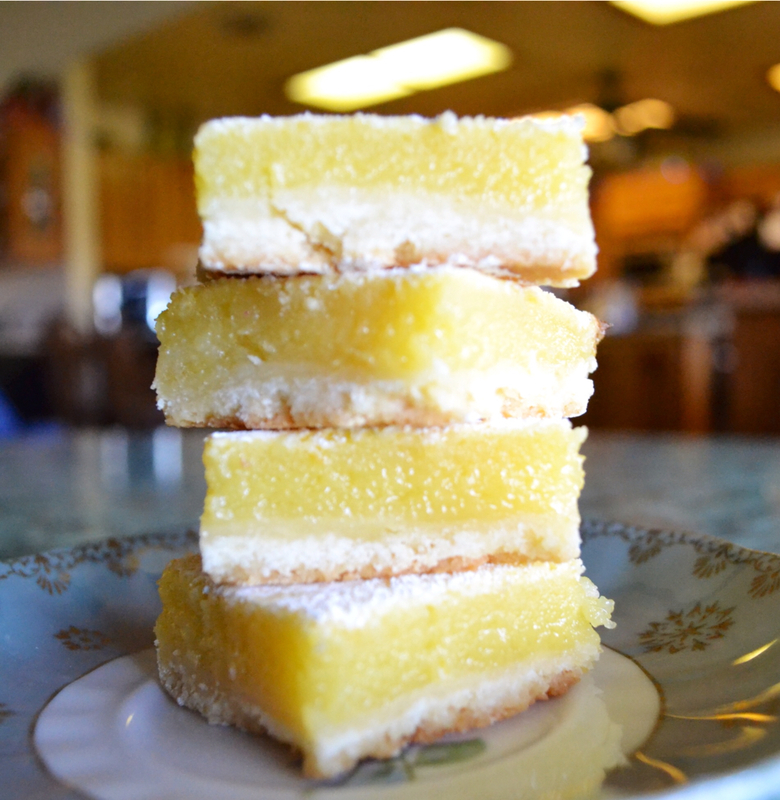 Thin crispy butter-crust, thick layer of tart lemon custard, light sprinkling of confectioners sugar . . . Oh yeah . . . and a cold tall glass of milk! Pure heaven! Lemon season is in full swing and it's time to see just how many delicious ways I can use lemons . . . Over at Julie's!!! P.S. 3 days later and the crust is still crispy and flaky!